Perhaps we should file this one under Foods That Turn Us On - Part Deux because we believe these Voges Krug Champagne truffles to be the fastest way to our ... hearts. 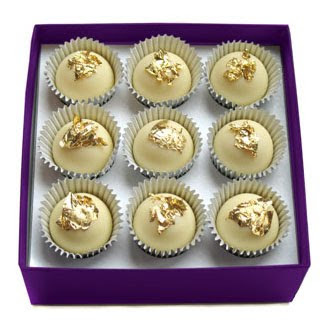 The Hip-Hop Truffle is made with Krug Champagne, edible gold leaf, and white chocolate. Now that's what we call bling.